There are hundreds of career options out there. It is difficult to decide on a career as many students do not know what they want to do? Put in some time and energy into making one of the most important decisions of your life. If you find yourself cooking for friends and family every other day and loving it, going professional may be a good career choice. However, there is a difference between cooking as a hobby and cooking as a career. There has never been a better time to study culinary arts. But choosing cooking as a career involves a lot of hard work, dedication and training. Cooking can be a lucrative profession for new graduates to advance their careers in the food industry. The job outlook for those wanting to make cooking as a career is positive due to employee turnover and the growing number of establishments needing chefs. The job profile of a chef may vary within the kitchen. Executive chefs oversee the entire culinary operations of a restaurant and are often in charge of creating the menu and the theme of the establishment. The sous chef serves as the administrative assistant while the line chefs have specialised duties, such as prepping the food. 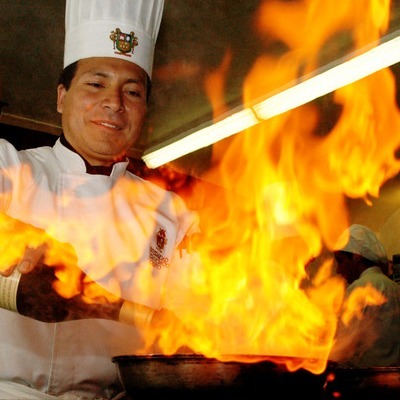 Individuals interested in a culinary career are often required to go through technical training at an exclusive culinary institute or a reputed university. The length of the course may vary. You have a number of options when it comes to choosing cooking as a career. Option 1: Students interested in a starting level career should go through a 1 year training program and graduate with a certificate in culinary arts. Option 2: Students who aspire for executive or sous chef positions should go through a 2-4 year training program. The course may include an internship experience as well. The best way to get your certification is to do an apprenticeship through TAFE. To qualify for an apprenticeship through TAFE, students will have to complete their Year 10 School Certificate. TAFE courses allow you to study a certified course while working and getting paid at the same time. In Australia, it takes four years to complete the training. This training is made up of working four days a week in a restaurant and one day attending class at TAFE or college. Training also includes basic safety and sanitation guidelines. It is also a good idea to do work experience or part-time work as a kitchen hand in a restaurant to get a feel of the industry. One can also join a culinary school or a specialised college. Like TAFE courses, culinary schools also provide a combination of practical industry placement and class work. Many of these schools are highly regarded and can facilitate in familiarising yourself with the kind of work environment you’ll encounter. If you’re thinking about becoming a cook or a chef, there are some personality traits that will help you to ensure your success. The top chefs who are known around the world share a set of qualities that separate them from the others. If you have the above qualities, then you’re right on track for a successful career in cooking. If you have a passion for food and a flair for cooking, put on your chef apron and get ready to dive into the world of cooking.